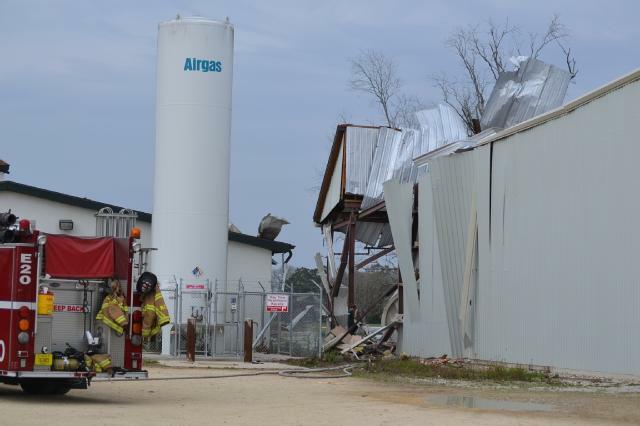 More details are emerging about Friday's hyperbaric chamber explosion at the Kentucky Equine Sports Medicine and Rehabilitation Center (KESMARC) in Ocala, Florida. The horse was not tranquilized and became unruly during treatment, and technicians had begun shutting down the chamber when the horse kicked and the explosion occurred. WESH Orlando has run the most complete coverage from the scene. CLICK HERE to read the full story, including a photo slide show and two fine video news reports. For more background see our previous stories on veterinary hyperbaric medicine.